Actions speak louder than words.For the past five years, Bharatiyam has been actively implementing its mission of improving education and livelihoods in India by developing solutions at the grass roots level. Here are the two primary initiatives that Bharatiyam currently supports. Sprouts Primary School is a Bharatiyam-funded educational institute that currently supports 400 students up to high school. 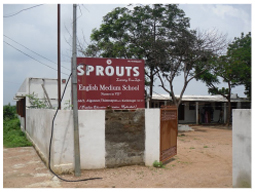 Located near Karimnagar, Telangana, Andhra Pradesh, Sprouts provides high quality English education to poor children at subsidized rates. The custom-formulated curriculum, highly trained teachers, extracurricular activities, and character development programs are just a few activities that distinguish Sprouts from other schools. Anganwadi Centers are village-level education, childcare, and healthcare centers are are gaining importance for their impact and easy scalability across rural areas. 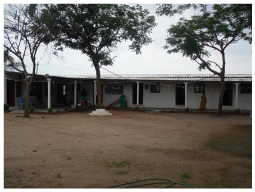 Bharatiyam has adopted 52 Anganwadi Centers in one of the poorest districts in Telangana, India: Karimnagar. There are many developments on how Bharatiyam increases the efficacy of each facility.